Nov. 27, 2018 — The 2018 election cycle’s final contest comes today in Mississippi. The special run-off campaign between appointed Sen. Cindy Hyde-Smith (R) and former US Agriculture Secretary and ex-Mississippi congressman, Mike Espy (D), will decide if the 116th Congress will feature a Senate that brandishes a 53-47 Republican majority or a lesser 52-48. The run-off occurs because no candidate received an absolute majority in the Nov. 6 special jungle primary. The special election is necessary because Sen. Thad Cochran (R) resigned for health reasons in the middle of his final term in office, thus necessitating an appointed replacement and this confirming electoral vote for the winner to serve the balance of the term. Whether Sen. Hyde-Smith or Espy wins today, there will be another election in the regular 2020 cycle for the full six-year term. In the first vote, Sen. Hyde-Smith placed first, but barely, with a 41.5 percent plurality compared to Espy’s 40.6 percent, a difference of 8,284 votes from more than 883,600 ballots cast. 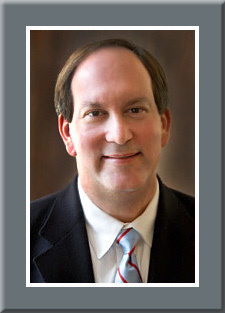 The third-place finisher, Tea Party activist state Sen. Chris McDaniel (R-Ellisville), captured the remaining 16.4 percent with Independent Tobey Bartee picking up the final 1.4 percent. Once the run-off began, Sen. McDaniel announced his support of Sen. Hyde-Smith, which should go a long way toward unifying her Republican base. 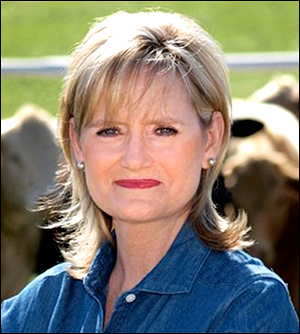 Controversy in this run-off campaign arose when Hyde-Smith made several unforced errors. Making statements about wanting to be present at a lynching, visiting a Confederate Museum where she donned a uniform, and now under attack for attending what was commonly referred to as a “segregation academy” for high school has put the appointed senator clearly on the defensive. Aug. 13, 2018 — A new Triumph Campaigns survey for the Y’all Politics blog (July 30-31; 2,100 likely Mississippi registered voters, 25 from each of the state’s four congressional districts) tested the two Mississippi US Senate campaigns. The results reveal interesting data for appointed Sen. Cindy Hyde-Smith (R), who has been on the job since her April 9 induction ceremony after being appointed to succeed veteran Sen. Thad Cochran (R). The state’s senior senator, who amassed 40 years of service in the Senate, stepped down for health reasons. According to the Triumph results, Sen. Hyde-Smith would lead former US Agriculture secretary and congressman Mike Espy (D), state Sen. Chris McDaniel (R-Ellisville), and Independent Tobey Bartee, 41-27-15-1 percent in the statewide ballot test. The new senator fares best in south and east congressional districts, numbers 3 and 4. The two Republicans do particularly well in the Biloxi-Gulfport anchored 4th District where the senator records 42 percent support and McDaniel has 24 percent, while Espy drops to 17 percent. 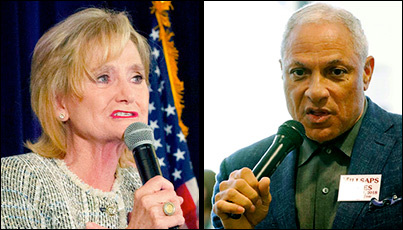 Statewide, the preliminary data suggests that Hyde-Smith and Espy would move into a secondary run-off election. In this special election, where the winner will fill the balance of the current term, all candidates will appear on the concurrent general election ballot. If no candidate receives majority support, the top two finishers will advance to a run-off election a few days after Thanksgiving, on Nov. 27.